With Christmas and the New Year drawing near, it feels natural to look back over the past year. How well have we lived up to the University’s slogan – a tradition of renewal since 1477? Pretty well, we’d be inclined to say. We’re preserving and building. The University Main Building is undergoing a thorough renovation, while the Segerstedt Building and the Humanities Theatre are nearing completion. After alterations and extension, the Rudbeck Laboratory is ready to reopen in the New Year. Work has begun on a new premises supply plan looking towards 2050. We are laying the groundwork for the University’s future campus structure in a rapidly growing Uppsala. We’re renewing our research. The University’s new research strategies, adopted during the autumn, foreground some of our areas of strength and show how we are meeting various societal challenges through targeted research initiatives in important areas such as antibiotics, racism and medical technology. As always, we emphasise that there is no opposition between striving for academic excellence and our equally important striving to benefit society – on the contrary, these objectives are mutually reinforcing. The concept of useful research must not be trivialised or ruled by short-term business sector interests or political preferences. The way to maximise the long-term contribution universities make to society is to defend our distinctive nature, integrity and autonomy. We’re taking responsibility for quality. This year Uppsala University has launched a third university-wide research evaluation through our project Quality and Renewal 2017 (Q&R17). This time the focus is on analysing how the processes driving quality and renewal function in our research environments. A large-scale questionnaire survey has been conducted as well as bibliometric analyses. 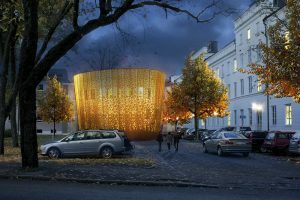 During the winter the departments will work on their self-evaluations and when spring is at its best in May international panels of experts will visit Uppsala. Turning to educational quality, a new system is being implemented in which we will evaluate all our programmes over a period of six years, including external review. The first pilot evaluations are already in progress. We’re enhancing our internationalisation. We provide unique opportunities for our students to venture out into the world through some 500 agreements in more than 50 countries. The number of fee-paying students from countries outside Europe is increasing and we’re beginning to approach the levels we had before the tuition fees reform. If Sweden, as we have advocated in various forums during the year, succeeds in creating an effective scholarship programme for international students, the situation will improve further. We have co-founded a strong new European university network, the Guild of European Research-Intensive Universities, with 18 members to date. For several years, we have been working systematically to develop our international research partnerships, these days often arm in arm with other Swedish research universities. One example is the Swedish Academic Collaboration Forum (SACF), in which we are one of six Swedish universities together building relations with researchers in South Korea, Singapore, China (Shanghai), Indonesia and Brazil. In the Mirai project, we are one of seven Swedish higher education institutions jointly building up cooperative relations with leading Japanese universities. Our representation in Hanoi is being restaffed. Those of us in the University management have travelled a good deal during the year. The Management Council has visited universities in Germany and Switzerland, and in Oslo. Eva participated in the delegation of the Royal Swedish Academy of Engineering visiting Japan and in a vice-chancellors’ tour of South Africa and Botswana organised by the Swedish Higher Education Authority and the Swedish Foundation for International Cooperation in Research and Higher Education. Anders headed the Uppsala delegation on the SACF tour of Brazil. Opening Symposium for the Guild of European Research-Intensive Universities. Emphasis on sustainable development in education and research. During the year, we adopted our first programme and action plan for sustainable development. 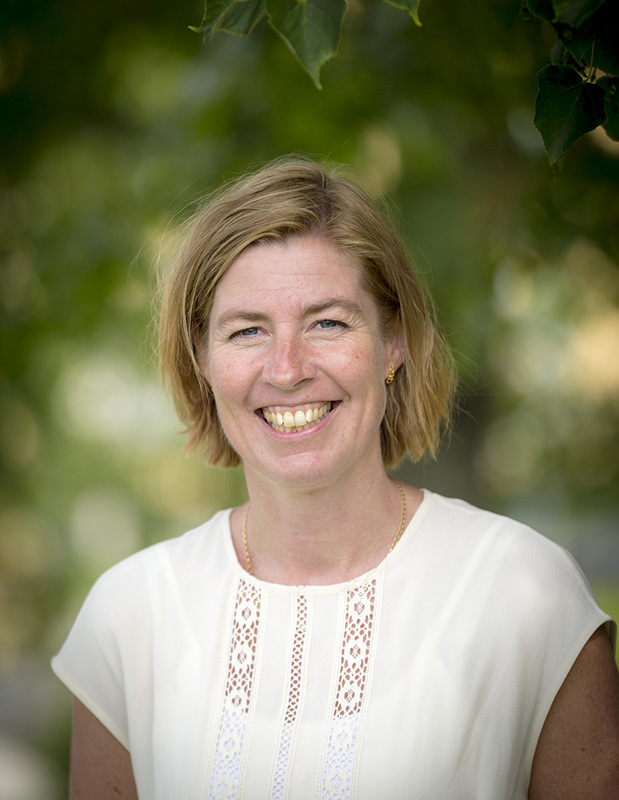 We also appointed an Adviser to the Vice-Chancellor, Anna Rutgersson, with special responsibility for these issues. Sustainable development is also a central theme in one of the three MOOCs that Uppsala University launched during the year: Climate Change Leadership. The other two are about antibiotic resistance and financial crises. Anna Rutgersson, Adviser to the Vice-Chancellor for Sustainable Development. Unprecedented external collaboration. During the year we adopted a new programme and action plan for external collaboration. Following our strategic partnership with ABB in 2015, we have entered into several equivalent or similar collaboration agreements in 2016, with Uppsala Municipality, NCC, Region Gotland and RISE Research Institutes of Sweden. We have organised AIMdays both at home and around the world. We have taken part in Vinnova’s pilot evaluations of higher education institutions’ collaboration strategies and their implementation, results and follow-up. Vinnova’s panel was not overly impressed with our work on collaboration and we are not impressed with how Vinnova and its panel work on the evaluation of collaboration. 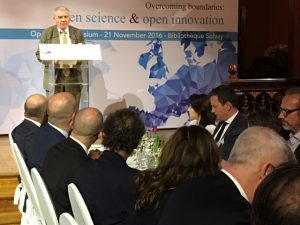 The debate will no doubt continue, particularly since the government has announced that it intends to make the quality of collaboration one of the parameters in its model for distributing the resources allocated for research, on a par with publications/citations and the ability to attract external research funding. Infrastructure issues are increasingly prominent. 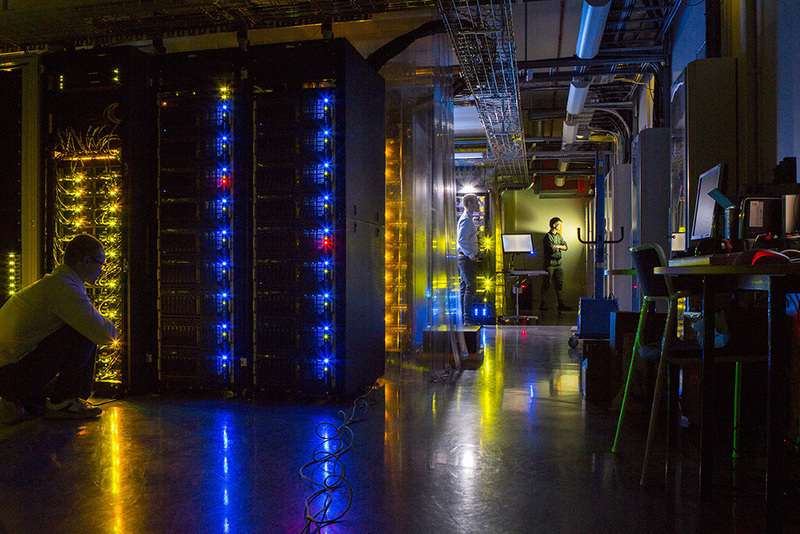 Apart from the issue of premises for the University’s activities and housing for students and staff, we are wrestling with the issue of how to organise – and finance – our absolutely vital research infrastructure in the longer term. Here Kristina Edström is now taking over from Joseph Nordgren as Adviser to the Vice-Chancellor. Joseph has done a fantastic job making the entire University across the board aware of the importance of these issues and has made a great contribution to the emerging national system for addressing issues of coordination and prioritisation. Now we are beginning to see the dimensions and complexity of the challenge, which means that it ‘only’ remains to find the solutions. Thank you, Joseph, and good luck, Kristina! Focus on skills provision. The targeted investments the University is making in increasing the number of career-development positions appears to be yielding dividends – the cost for the Vice-Chancellor’s strategic funds may be high, but we think it is worth it. A similar initiative to increase the number of international visiting professors has been launched this autumn. The old ‘professor programmes’ are being phased out and replaced with skills provision plans that apply a broader perspective to recruitment needs and recruitment strategy. Uppsala University continues to be a local, national and international meeting place for knowledge, culture and critical dialogue, just as we set out in our Mission and Core Values. This year’s Uppsala Health Summit was about childhood obesity. The SANORD conference in Uppsala gathered participants from around 40 universities in the Nordic countries and southern Africa, including the President of Mauritius. 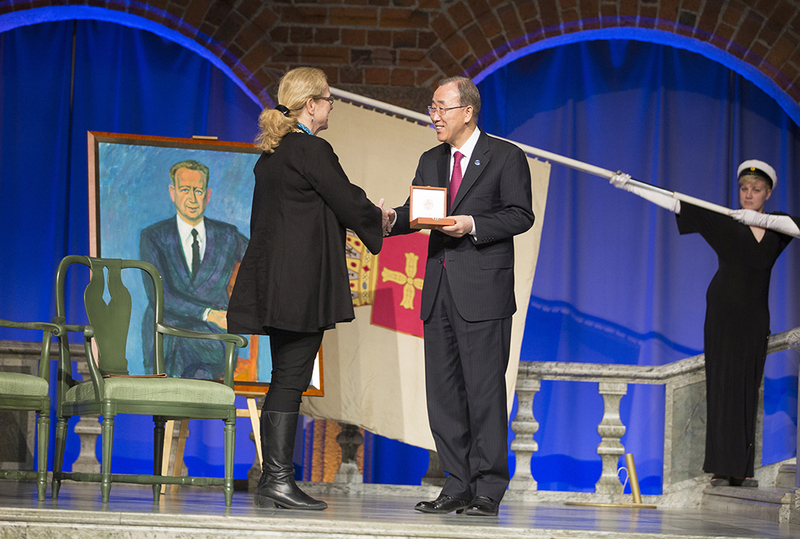 The Dag Hammarskjöld lecture this year was delivered by Ban Ki-moon to a full house in the Blue Hall at Stockholm City Hall, as the University’s Grand Auditorium was closed for renovation. 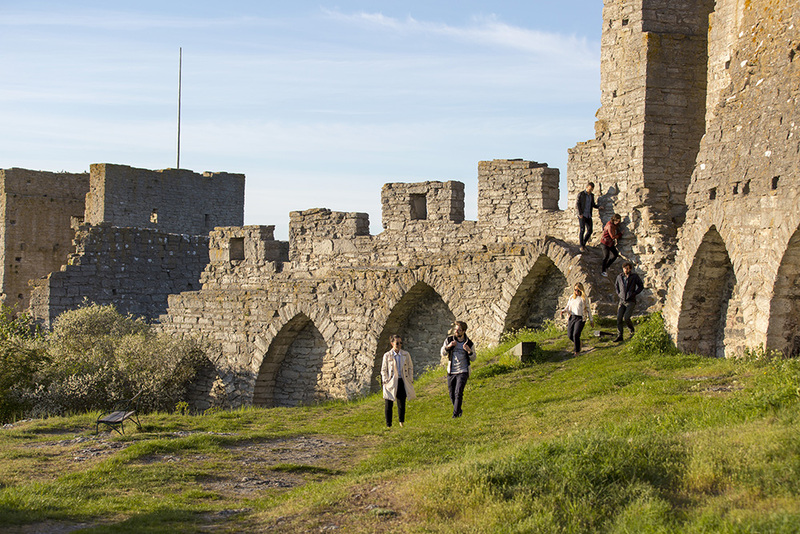 During Almedalen Week, Campus Gotland is probably the hottest meeting place in the country, and the Nobel lectures in December filled our lecture halls at Ångström, BMC and Ekonomikum to overflowing. We have much to be pleased and proud about. We are consolidating Uppsala University’s status as a top-100 university – despite increasingly tough competition. Our programmes continue to attract many applicants, the most in the country in terms of total number of applicants to the autumn term’s courses. We continue to be successful in the tough competition for allocations from the Swedish Research Council; 16 per cent of the total funds granted were awarded to Uppsala. We continue to grow, albeit more slowly than over the past five-year period, and now have nearly 7,000 members of staff. This gives us good reason to celebrate properly on special occasions: our doctoral degree ceremonies in January and May, the inauguration of professors in November (this year, for the first time in history, with more women than men) and the various degree ceremonies are happy occasions when our hard-working students, doctoral students, teachers and researchers receive richly deserved recognition for their efforts. The national arena affects us. In November, the government presented its research bill for this electoral period. It received (plenty of) criticism and (some) praise. It specifies certain important parameters for our activities in the years ahead. 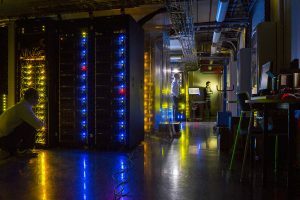 The government has announced special inquiries to examine the management and resource distribution systems, and internationalisation. Both of these inquiries are important and welcome. Two ongoing inquiries are examining the issues of admission to higher education and the treatment of research misconduct. 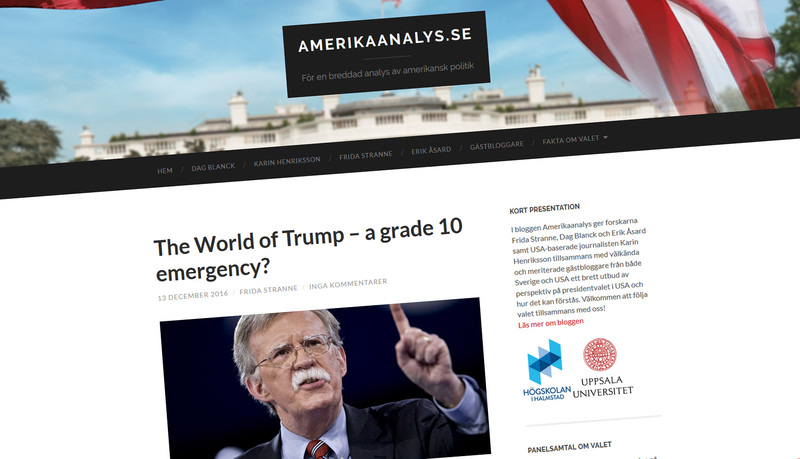 The latter question has recieved a great deal of attention during the year following the tragic and shocking Macchiarini affair at Karolinska Institutet. 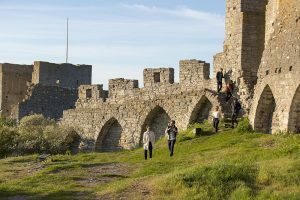 During the past year, several other inquiries have delivered their reports: on career paths (Ann Fust), university management issues (Kåre Bremer) and development issues in the Gotland region (Peter Larsson). These are all inquiries in which we take an active interest in one way or another. We live in an unsettled world. The year 2016 has been a distressing year at the international level. The horrific war in Syria continues. Refugee flows are increasing and reports of shipwrecks with tragic outcomes continue to reach us from the Mediterranean. The attempted coup in Turkey and the subsequent counter-reaction have demonstrated not least that academic freedom and the independence of the universities are fragile things. Europe has been shaken by terrorist attacks. The Brexit referendum and the presidential election in the United States show that the global openness we have associated with Western democracies cannot be taken for granted. All these developments place a responsibility on universities to stand up for the freedom of thought and not least to insist and seek to ensure that discourse on the development of society rests on respect for knowledge and facts. Now we look forward to a well-deserved holiday, which we hope you will be able to spend with family and friends. We meet again in the New Year, for a new term when we will welcome new students to our University. Our best contribution to a better world is to continue to conduct research and education of the highest academic quality – in close collaboration and interaction with all other forces for good in society.